We showcase recently launched products and creative projects by today's modern makers. We explore the problems they're solving, the tech they're using, and tactics they've deployed to get to market successfully. In this episode, we jam with Laura Simpson to discuss her newly launched product, Side Door. Laura and her co-founder, Dan Mangan (Juno award-winning, world-touring singer-songwriter from Vancouver) launched Side Door to empower and build local communities around live performances. The global value of music copyright topped $28B in 2017: in this article it's interesting to see how growth has gone since the record business basically "halved" from 2002 to 2014. It's also interesting to see how the cash gets distributed amongst the labels, distribution, and songwriters. Here's a crazy story about random teen phenomenoms who are writing songs (pretty good imo) and blowing up on YouTube without any help from labels or professional industry folks. Music Industry Dynamics - we all know the music industry has changed with the introduction of streaming services like Spotify, Apple Music, and Pandora. Although these services are excellent for the consumer like you and me, the artists have to completely re-think their business models. Musicians used to be able to monetize the actual work product of their art... the music! These streaming services have lowered the barriers dramatically for artists to distribute their music to an international audience, but now requires them to rely heavily on touring and alternative income sources to make a living. Here's the timeline of how the streaming services have come to be, and how the $9.99/month price leaves even the streaming services with shallow margins sparking a war between Spotify and Apple. This article is obviously biased; however, it does shed some light on how Apple is leveraging its massive foothold in the market. It’s with terabytes of LOVE that I ask you… if you find this interesting at all and want to support this project, please pass this along to a few friends or text them a link to the podcast. Thank you and enjoy! Rapid Prototyping - this is a method of testing interfaces and customer experiences before you invest the time into building them. Click this link to learn the different types of prototyping and other best practices. Customer Acquisition Cost (CAC) (17:50) & Churn (19:35) - Having a deep understanding of how much it costs to acquire new customers is critical to building your financial model. Another important piece is understanding how you retain users, or lose them (churn). Knowing your retention curves can help you understand the lifetime value of each customer, at which point you'll know exactly how much you can pay to acquire each new customer profitably. Bill Gurley wrote an excellent article that provides the key terms and math behind calculating your customer LTV. Adwords (4:50) - Cody used Google Adwords to test demand for his product by running ads before the product was live. By running ads he could understand search volumes and click-through-rates. Google X (6:10) - Google's entity that focuses on "moonshot" ideas. Solving the world's hardest problems. NYC Citi Bikes (6:50) - NYC's urban bike program. Lean Startup (12:22) - a product development methodology (and book) that focuses on rapid prototyping and constant product iteration to capture learnings cheap, fast, and often. In this episode we hang with Philip Thomas, he shares an inspiring story about how his first failed startup gave him the learnings needed to launch Moonlight, which is bootstrapped and rapidly growing. Pricing and rake strategies for marketplaces - Bill Gurley, legendary VC @ Benchmark, published this excellent piece on how to approach pricing as a marketplace. My last startup was a marketplace, I would reference this often when modeling different pricing strategies. It's very tricky to keep your rake low to reduce supply-side friction, while also maintaining favorable unit economics to acquire both the supply and demand sides of your marketplace. Bill knows marketplaces very well given years of experience in the space, he was really early in cos like eBay, Uber, and others. Great book about Bill and the founding of Benchmark, eBoys. Remote work is the new LaCroix in 2019 - let that one sink in... companies are becoming more and more comfortable hiring remote workers. This is what allows for products like Moonlight to thrive. Here's a list of 900+ Startups that are hiring remotely. It's with tons of love ❤️ that I ask you... if you find this interesting at all and want to support this project, please pass this along to a few friends by forwarding this email or text them a link to the podcast. Thank you and enjoy! In this episode, we kick it with Owen Williams, most recognized for his previous work as an editor at The Next Web and maker of the well-regarded technology newsletter re:Charged. From his broad experience as a journalist and software engineer, we’re going to discuss his latest product launch, Write Together. 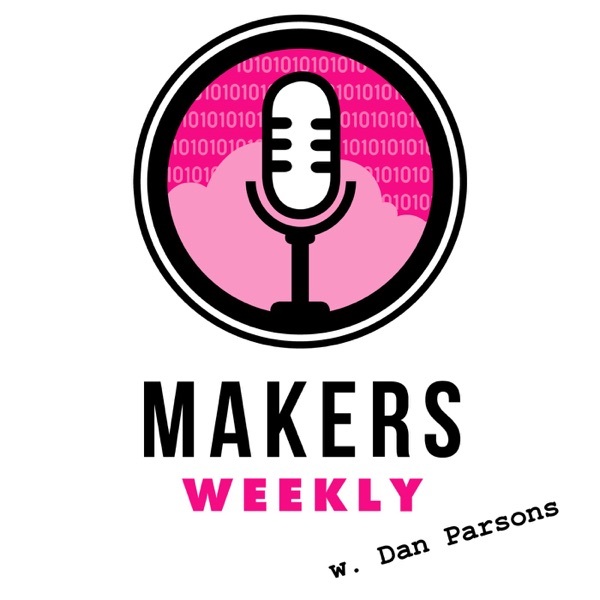 Lean more about Makers Weekly and what we're working on here. Lean Startup (12:30) - a product development methodology (and book) that focuses on rapid prototyping and constant product iteration with the goal to capture learnings cheap, fast, and often. Getstream (15:39) - out of the box social networking features, like news feeds and timelines. Google's Startup Program (16:43) - free cloud hosting!! How do you become a better writer? Well, you need to write. This is the premise of the Write Together product. Here's a great article (and interesting story) about how consistent writing can provide meaningful benefits over time; it has over 20k claps on Medium. I specifically enjoyed the sections called "Be Prolific" and "Learn to Recognize Patterns." Network effects (23:16) - in the product development world, this is a term that refers to features that incrementally get better (or provide greater value) the more they're used. If you're working on a product, this is a must-know concept. Here's the perfect resource to learn all about network effects (check out the slide deck at the bottom). It's with tons of love that I ask you... if you find this interesting at all and want to support this project, please pass this along to a few friends. Thank you and enjoy!